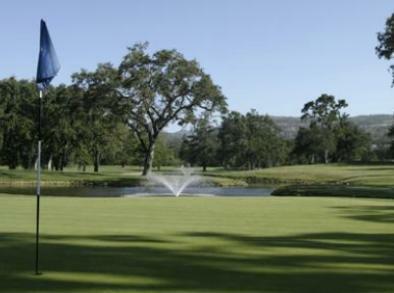 Napa Golf Course At Kennedy Park is a Public, 18 hole golf course located in Napa, California. 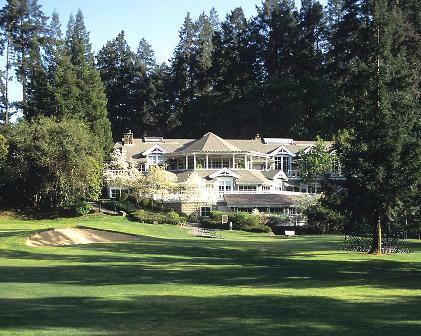 Napa Golf Course At Kennedy Park first opened for play in 1968.  The course was designed by Bob E. Baldock and Jack Fleming. 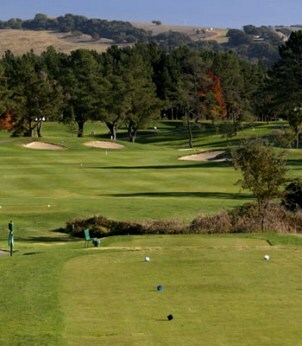 The Napa Golf Course at Kennedy Park or simply "Kennedy Park" as it is known to local golfers, is the golf course for you if you're tired playing the typical modern look-a-like golf courses. 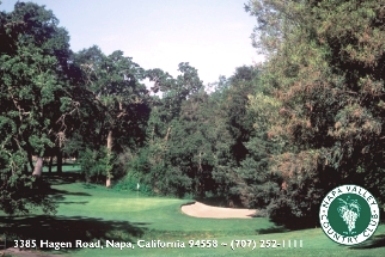 In past years Napa Golf Course has been the venue for qualifying rounds for the Kaiser Invitational and the U.S. Open Championship. The course plays to a par-72 and has a Black Tee yardage of 6,704-yards, a course rating of 72.7 and slope of 131. 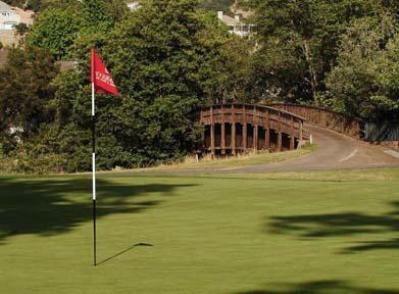 However, Napa Golf Course also has three other sets of tees with the shortest, the Gold Tees, a very golfer friendly 5,690-yards. The small sized greens (3,500 to 4,500 square feet) generally slope from back to front with contours on the sides calling for well-struck approach shots. Bunkering is strategic, a characteristic of Fleming designs. Most greenside bunkers set some distance from the putting surface but create an illusion of the sand being very close to the green. #1 is a par-4 first with a generous landing area left of a fairway bunker situated in the corner of a dogleg right. #8, a par-5 has water lurking on either side of the fairway. 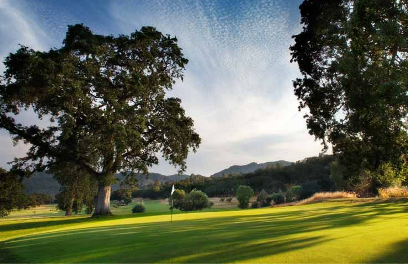 #10 is Napa Golf Course's signature hole. This medium length par-4 has a splendid specimen valley oak in the fairway which requires you to make a decision for the placement of your tee shot. Ideally, your drive will be just left of the tree leaving a second shot of about 150-yards to a small green with a bunker at the right front. #13 is fairly long par-3 is sheltered from the wind on the tee and with water all the way down the right side club selection is critical since the wind is always a factor at the green. And speaking of the green, it features a pronounced slope from right to left so depending on the wind direction, getting a ball close to the pin can be a challenge. Hole positions on the right side are guarded by a bunker between the water and the green giving you something else to think about. #18 is a par-5 that offers everyone an opportunity for a closing birdie. 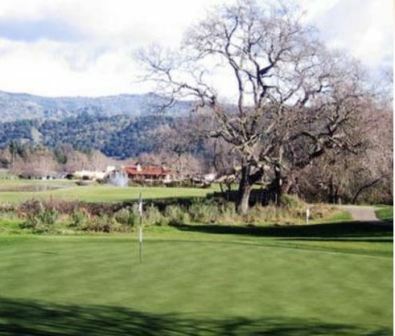 The Napa Golf Course at Kennedy Park is registered with the Audubon International Cooperative Sanctuary Program as part of the course's commitment to the environment. Look for the wading and shorebirds in the wetlands bordering the fairways and the many Canada geese that they help control with their specially trained "geese police" dog. Great public course. I walk it, but it has all new electric carts. Water in play on 16 of 18 holes. Mature landscape of hills, etc. No homes on course.